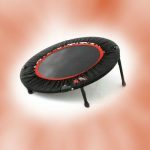 Multiple accessories and parts are available for various trampolines to make them more safe, fun and enjoyable. Some accessories can work with a range of trampolines while others are exclusive. With a little more investment, you can make your backyard trampoline easier to use, perform better and survive harsh weather. A trampoline ladder is a convenient and safe way to enter and exit the trampoline. The ladder generally comes with either two or three steps depending on the height of your trampoline. Some trampoline ladders like the SureStep Ladder from JumpSport are designed to fit other trampoline brands as well. A trampoline weather cover is designed to help protect the trampoline from UV rays, rain, snow and debris. The trampoline can also be covered up while you are away on a holiday to ensure that the neighborhood children do not use it while you are away. Most weather covers can be installed without removing any part of the enclosure. You should make sure that the cover is completely dry before storage. 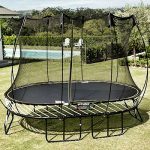 The trampoline safety pads are very important as they cover the moving parts of the trampoline such as the metallic springs which stretch and contract on every bounce. The pads are made up of a high quality material that is built to last in the outdoor weather. You should ensure that the shock absorbing pads should completely cover the springs, hooks and frames. The thickness of the high-density pads should be around 25 to 30 mm for extra safety. The trampoline safety net enclosure system prevents jumpers from falling off a trampoline. The quality of enclosure varies with different trampoline brands. However, few important things should be considered before purchasing a safety enclosure. The net mesh should pass the finger safety test, which ensures that no little fingers or toes can get stuck in the net holes. 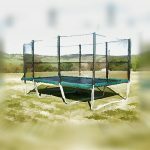 The enclosure net should be held inside the outer frame of the trampoline to prevent jumpers from falling onto the outer rail. The safety net should be attached firmly and securely to the trampoline poles and frame. There have been many reports where trampolines have blown away during strong winds and caused damage to surrounding areas as well. Trampoline wind stakes and anchors help to secure your trampoline to the ground, which is particularly useful in high wind conditions. The stakes are usually U shaped that fit over the legs of the trampoline and are driven into the ground. They are made up of rust resistant galvanized steel. This prevents the trampoline from being blown away in high wind environments. The trampoline safety skirt helps prevent children, pets and toys from getting underneath the trampoline. The skirt is tied to the frame rail and legs using straps. The skirt is secured to the ground using a metal stakes. Ensure that the skirt is tight but not excessively stretched. If you have a trampoline and if you have kids, the spring skirt padding is eventually going to get completely worn out over a period. A neat way of replacing that skirt is to cover each spring with a small section of a foam pool noodle. You will need to replace the broken, old or worn out springs at some point in the lifetime of your trampoline. You can use the T shaped spring removal tool, which usually comes with the trampoline, or you can buy a new one. Different trampolines have different spring lengths. While measuring the length of the spring you need to add the hook length as well. You should regularly check your trampoline for weak or worn out springs. 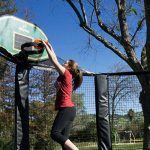 Make your trampoline even more fun for your family by adding a basketball hoop. The hoops are usually constructed with all soft materials and include a soft foam basketball. The rim should detach from the backboard when sufficient force is applied. This ensures safety of kids while dunking. 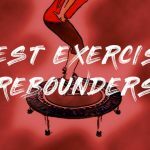 Using trampoline bounce boards you can improve your spatial awareness, practice various air maneuvers, invent new sports tricks and enhance boarding skills without damaging the trampoline mat. 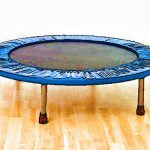 The trampoline bounce boards usually have smooth round corners and are made up of a soft flexible material. Turn your trampoline into a magical cave hideaway using a trampoline tent. The tent can also provide shade during summer and will keep kids dry during rains. You can also use the tent for backyard camping, summer resting place or a nice cozy place to chat with friends. 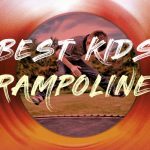 The Trampoline ramp slide is a safe alternative to the traditional trampoline ladders especially for kid’s trampolines. The thin ladder steps are prone to slippages and falls. The slide offers a new exciting way to get on and off the trampoline mat.